Andrea Campbell and Nina Lowe, founders of Front Door Fashion, are connecting with other entrepreneurs for support in building their 2-year-old business. Dallas, they say, is a good fit for the business-minded. When Rachel Bentley and Carly Nance decided to start a business, they chose Dallas over other cities because of the city’s affordability and what they saw as a market full of untapped talent. The two own the Citizenry, an online platform that sells home goods made by artisans in places like Peru, Argentina and Uganda. The company is one of many women-led startups on the burgeoning entrepreneurial scene in Dallas. While their numbers are growing, Bentley, Nance and other local female entrepreneurs say that they are still in the minority in North Texas, which makes it difficult for them to connect with other women in the Dallas startup market and to appeal to investors. The challenges and problems faced by women entrepreneurs — and their successes — will be the focus of a series of programs hosted by the Dallas Entrepreneur Center starting Thursday. The goal is to encourage female entrepreneurs and to connect more women to the resources and mentors available locally. “It will be exciting to see what a robust community we have around here and to encourage these women to pursue their entrepreneurial endeavors,” said Trey Bowles, CEO and co-founder of the Dallas Entrepreneur Center. The nation has more than 9.4 million women-owned businesses, including an estimated 221,100 in Dallas, according to a 2015 American Express Open report. Texas has experienced a 116 percent increase in the number of women-owned businesses since 1997, making it the second-fastest growing state for female business owners behind Georgia. Texas ranked second in the nation in the number of women-owned firms in 2015 but ranked lower in categories of employment and revenue, which means there is more business creation than business growth occurring in Texas, said Julie Weeks, the report’s author. Dallas ranked ninth in the nation for cities with women-owned business growth. Mel Fugate, associate professor of management and organizations at Cox School of Business at Southern Methodist University, ties the positive trends in Dallas women-led startups to the city’s better-than-average economic growth. He said this encourages investment in women-led businesses, among other things. The concentration of corporate headquarters in Dallas increases opportunities for women to occupy high-level management jobs. These professional women may leave their jobs to seek more independence. Women may also be inspired to enter the startup market due to the influx of successful women creating businesses, Fugate said. The international airport, not the economic conditions, is what initially attracted Bettina Bennett to Dallas 20 years ago. After hitting “the concrete ceiling” in her publishing career, the native of Germany branched out into the world of business creation and is now CEO of Whichbox Media, a digital publishing platform. Bennett said it is much more difficult for Dallas-based businesses of all stripes to get seed money than it is for businesses in investment-rich areas, requiring them to generate revenue quickly. While the problem is not gender-specific, it is exacerbated if you’re a woman, Bennett said. Patricia Kriska, who teaches an undergraduate class on entrepreneurship at SMU, has noticed the changing demographics of her students over the past 20 years — more women and more minority groups. This factor may mitigate any discrimination that may crop up when women start and grow their businesses, she said. At the same time, women are diversifying the types of startups they are creating. In most U.S. industries, about 30 percent of the businesses are owned by women. Kriska said that in her experience, the types of companies founded by women tend to focus on the needs of women. 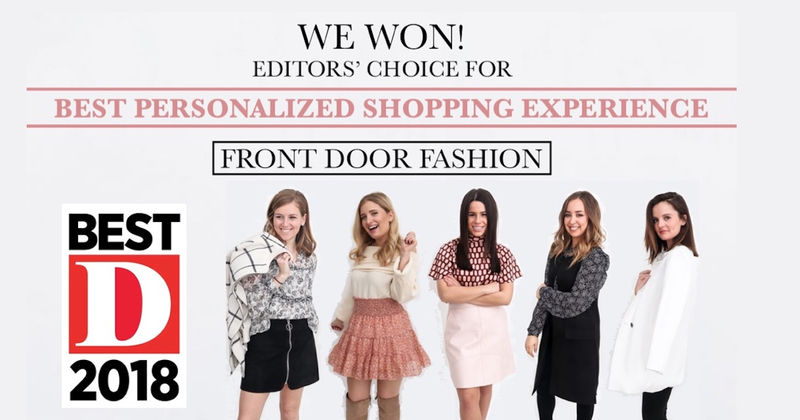 Front Door Fashion founders Andrea Campbell and Nina Lowe followed that pattern in creating their personal fashion shopping and delivery service almost two years ago. Campbell said their desire to look their best each day led them to develop a different way to shop, and their belief in the service drives their business model of customer service. As the two developed their business, they relied a great deal on each other. Recently, they have tapped into the Dallas entrepreneurial community and gained a wider network of support that provides connections and a sense of community. For Lauren Zeien, executive director of startup media outlet Launch DFW, the Dallas startup market is a marked departure from the “old boys club” culture that characterizes some other places, where there are fewer men supporting women. Angel investors and venture capitalists have Dallas on their radar. They include Golden Seeds, a New York-based collection of angel investors and venture capitalists that exclusively invests in female-run ventures. The group’s Texas investors are mostly in Dallas. Loretta McCarthy, managing director of Golden Seeds, says entrepreneurship programs at colleges and universities, incubators, co-working spaces and women-specific services like theirs encourage women to start businesses. When Aassia Haq, founder of travel experience app Guidrr, created her first business in 2006, the startup market in Dallas couldn’t sustain a large number of entrepreneurs. Now, however, the cost of living, the number of people exiting corporate roles and those graduating from local colleges and universities have created a competitive advantage for the city. “It takes a village to take great ideas and turn them into businesses,” Haq said.